Retail space is the last stop in the manufacturing chain, the spot where merchants sell products to customers. Retail space differs from other commercial properties, such as industrial or office space, in that the emphasis is on product display and customer accommodation. 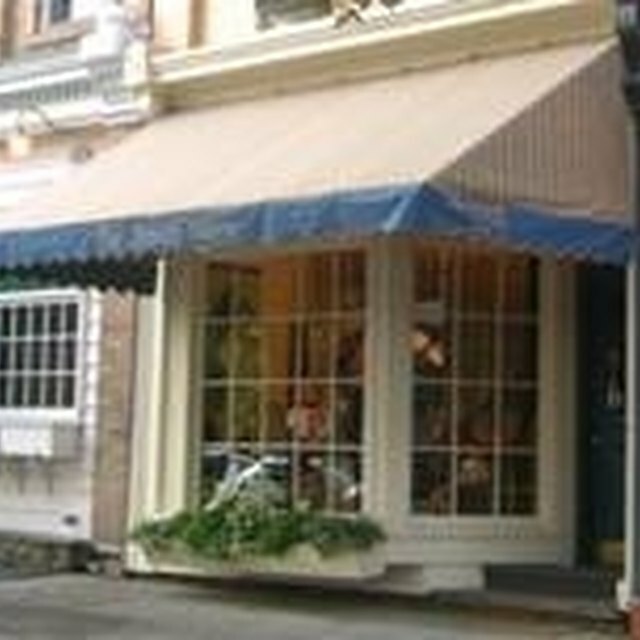 Merchants usually create or find retail spaces in single-standing buildings, in malls, and on the main streets of busy commercial districts. Airports, college campuses, subway stops, sports arenas, hospitals, train stations and other places that experience heavy foot traffic also have retail space. Merchants either buy or lease retail space. A triple net lease, which requires merchants to pay for insurance, maintenance and taxes, in addition to rent, is a common arrangement in retail. Rent can be a fixed amount due each month, or a percentage of the retailer's receipts. Roughly 70 percent of the space in a retail business is devoted to product display, with the remaining area used for office work and inventory. A well-lit spacious floor plan helps merchants present goods to customers. Easy access, nearby parking and proximity to other popular shops and restaurants benefit customers and are considered assets for retail space. The Money Alert.com: What Is a Triple Net Lease?